The safety and economic security of the United States depends upon the secure use of the world's oceans. Since the attacks of September 11, 2001, the Federal government has reviewed and strengthened all of its strategies to combat the evolving threat in the War on Terrorism. Various departments have each carried out maritime security strategies which have provided an effective layer of security since 2001. In December 2004, the President directed the Secretaries of the Department of Defense and Homeland Security to lead the Federal effort to develop a comprehensive National Strategy for Maritime Security, to better integrate and synchronize the existing Department-level strategies and ensure their effective and efficient implementation. Maritime security is best achieved by blending public and private maritime security activities on a global scale into an integrated effort that addresses all maritime threats. The new National Strategy for Maritime Security aligns all Federal government maritime security programs and initiatives into a comprehensive and cohesive national effort involving appropriate Federal, State, local, and private sector entities. In addition to this Strategy, the Departments have developed eight supporting plans to address the specific threats and challenges of the maritime environment. While the plans address different aspects of maritime security, they are mutually linked and reinforce each other. 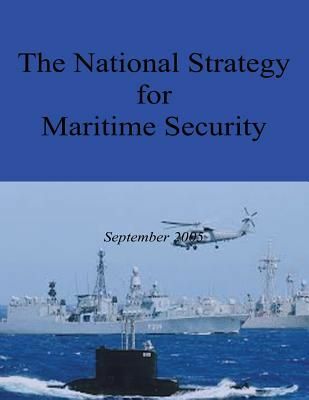 The supporting plans include: National Plan to Achieve Domain Awareness; Global Maritime Intelligence Integration Plan; Interim Maritime Operational Threat Response Plan; International Outreach and Coordination Strategy; Maritime Infrastructure Recovery Plan; Maritime Transportation System Security Plan; Maritime Commerce Security Plan; Domestic Outreach Plan; Development of these plans was guided by the security principles outlined in this National Strategy for Maritime Security. These plans will be updated on a periodic basis in response to changes in the maritime threat, the world environment, and national security policies. Together, the National Strategy for Maritime Security and its eight supporting plans present a comprehensive national effort to promote global economic stability and protect legitimate activities while preventing hostile or illegal acts within the maritime domain.